Peter Singer is in hot water in Germany again over his controversial views. The Australian utilitarian philosopher began his royal progress through Europe well. In late May he added another two honorary doctorates -- from the Universities of Athens and of Bucharest -- to his extensive collection of awards and distinctions. From there he went to Berlin to receive the inaugural “Peter Singer Prize for Strategies to Reduce the Suffering of Animals”. He was introduced in glowing terms by Maneka Gandhi, Indian Minister of Women and Child Development, who is president of People for Animals in her own country. A German politician explained why he was so popular: “Peter Singer's ideas are logical, free from religion and easy to understand”. However, these encomiums were lost on a gathering outside where about 250 people had assembled to protest the invitation. Their message was that Singer believes in killing babies. The protest may have unnerved the organisers of an eight-day (only in Germany!) philosophy festival in Cologne called phil.Cologne. Singer’s invitation to speak on May 31 was cancelled -- a bit odd, considering that he had been described in the conference programme as “one of the world’s most influential philosophers”. "How can you call yourself a philosophy festival, if you are too afraid to discuss issues that bother some people?" an exasperated Singer told the Kölner Stadt-Anzeiger afterwards. "Hasn’t that always been the role of philosophers since the days of Socrates?" Neue Zuricher Zeitung: You do not consider an infant to be more worthy of protection than an embryo. On the other hand, you do not necessarily ascribe a higher status to humans than to animals. Peter Singer: Belonging to the human species is not what makes it morally wrong to kill a living being. Why should all members of the species homo sapiens have a right to life, whereas other species do not? This idea is merely a remnant of our religious legacy. For centuries, we have been told that man was created in the image of God, that God granted us dominion over the animals and that we have an immortal soul. NZZ: If you were standing in front of a burning house with 200 pigs and one child inside, and you could choose to save either the animals or the child, what would you do? NZZ: How about yourself: are you useful enough? NZZ: Would you go as far as to torture a baby if this were to bring about permanent happiness for the whole of mankind? PS: This question is from Dostoevsky's "The brothers Karamazov"; Ivan poses it to his brother Alyosha. I may not be capable of doing it, as it is in my evolutionarily developed nature to protect children from harm. But it would be the right thing to do. Because if I didn't, thousands of children would be tortured in the future. This is not the first time that Singer has been “disinvited” in Germany. Back in 1989, 1990 and 1991 engagements in Germany, Switzerland and Austria were cancelled after vehement protests from disability groups. 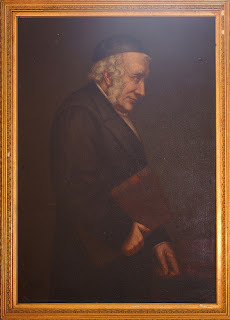 The revival of High Church catholicity in the Church of England was expressed in the Oxford Movement, and its acknowledged leader was Edward Bouverie Pusey, who said, "We must bend our minds and conform them to the teaching of Holy Scripture, or men will end in bending Holy Scripture to their own minds, and when it will not bend, will part with it." 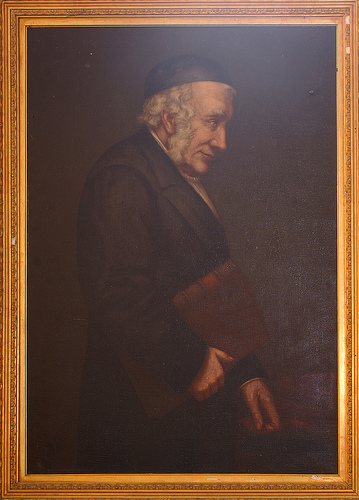 In 1833 Pusey joined John Keble and John Henry Newman in producing the Tracts for the Times, which gave the Oxford Movement its popular name of Tractarianism.